Career departments, volunteer departments and combination fire departments combine to comprise approximately 100 fire departments throughout southwest Missouri. The Fire Science Technology program provides learning opportunities which introduce, develop and reinforce academic and occupational knowledge, skills and attitudes required for job acquisition, retention and advancement. Additionally, the program provides opportunities to retrain and upgrade present knowledge and skills. With three different levels of education, the OTC Fire Science department offers different paths to different jobs within the fire science field. Become a firefighter, fire inspector, fire instructor, fire investigator, fire protection systems installer and more with the skills you’ll learn within the Fire Science Technology program. This comprehensive program provides all the skills necessary to get a job in the fire sciences, advance in it and keep it. The program is accredited by the International Fire Service Accreditation Congress. Classes include Principles Emergency Services, Fire Prevention, Hazardous Materials and more. Upon completion, students receive an Associate of Applied Science in Fire Science Technology. Fire Officers are responsible for ensuring the safety of the firefighters under their command, but they also fulfill a variety of administrative responsibilities. Students should prepare themselves for a promotion with the Fire Officer Certificate. Classes focus on training firefighters, fulfilling administrative responsibilities and maintaining discipline within a fire station. Upon completion of this short-term program, students receive a Fire Science – Fire Officer Certificate. Begin a career in fire sciences with this short-term overview of the industry. Learn how to connect hoses and pumps, rescue and treat the injured, write reports on incidents and potential causes, educate the public about safety, conduct routine drills and maintain fire equipment. Classes include Principles of Emergency Services, Fire Prevention, Fire Protection Systems and more. This certificate program is accredited by the International Fire Service Accreditation Congress. Upon completion, students receive a Fire Science – Fundamental Firefighting Certificate. Encourage and promote excellence in teaching and scholarship by respecting the process of learning, believing in the importance of scholarly learning and the role of the student in the process. Increase student acceptance, recognition and realization of industry training standards. Increase student acceptance, recognition and realization of industry performance standards. Prepare graduates with workable skills using computer literacy, technical communication, critical thinking and problem solving skills. Communication – Students will demonstrate effective communication skills, including listening, speaking and writing, in order to advance academically and professionally. Employability – Students will develop career competencies and self-management skills needed to gain employment in their chosen professions. Professionalism – Students will develop personal and professional relationships by demonstrating ethical behavior, collaborative work and constructive conflict resolution to promote success and advancement in their careers. Critical Reasoning – Students will demonstrate the ability to problem solve through the processes of analyzing, reflecting, reasoning and forming conclusions and judgments on a variety of math concepts, ideas, issues and information. Information Literacy – Students will demonstrate how to create, retrieve, organize and analyze information, including information from digital and technological sources. Cultural and Global Awareness – Students will demonstrate the ability to recognize and respect the impact of different cultures, ethnic groups and values on society and the interdependence of people around the globe. This program is accredited by the International Fire Service Accreditation Congress (IFSAC), 1812 Tyler Avenue, Stillwater, OK, 74078-8705, (405) 744-830. The program’s next review will take place during the Spring 2021 semester. 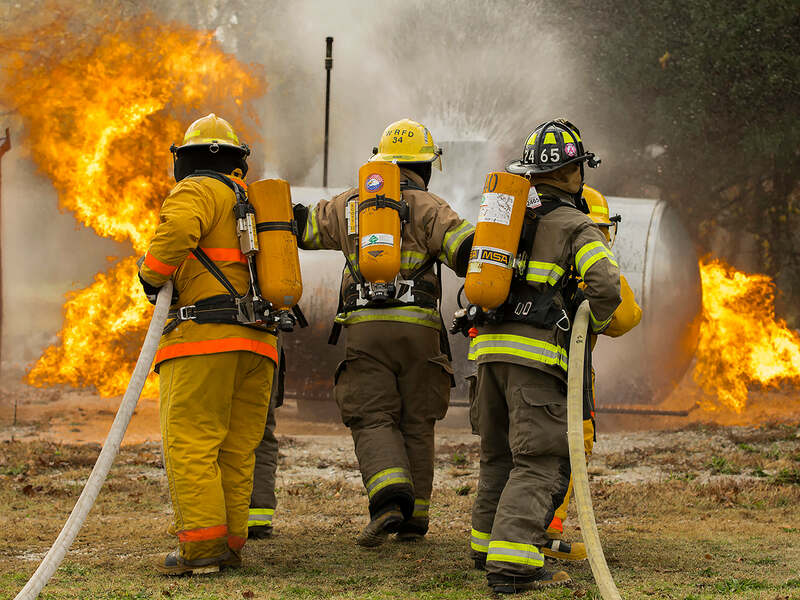 The mission of the Fire Science Technology program is to educate, train, and prepare students for employment, promotion and advancement I a firefighting career by providing opportunities to new and current firefighters thereby increasing their employment, promotional and advancement probability.